Manolo is the youngest among 5 siblings. His parents run a business together. He is more open to his mom, while he loves jet skiing and going on hiking trips with his dad. He also plays basketball, frisbee and badminton. Although he studies in one of the most prestigious all-boys high schools in the country, he is very popular among girls from other schools. This year alone, Manolo went to 5 proms! Despite being a heartthrob, Manolo never had a girlfriend because he wants to focus on his studies first as his parents wish. According to Manolo Pedrosa his ideal girl is cute chinita and tall like him. 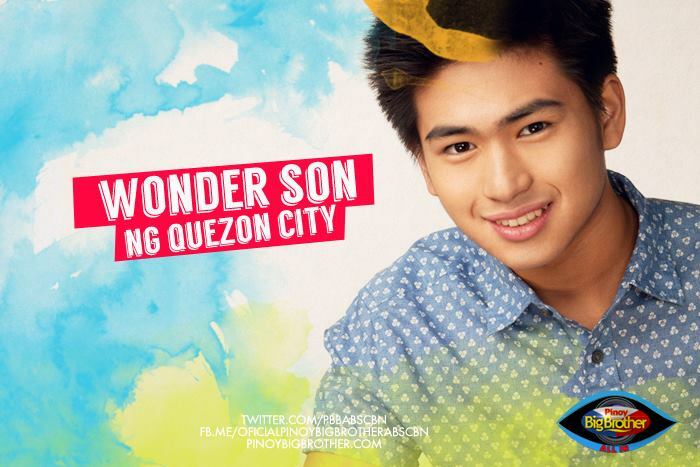 Manolos dedication to his family and a certified No Girlfriend Since Birth (NGSB) is the reason behind why he was dubbed as Wonder Son ng Quezon City." Sorry kung natagalan nilagyan ko pa kasi ng ASCII code para may design. Para naman may ibubuga din yung thread natin. May mga design yung thread title ng iba eh. May epins na uli sa Digital Martian. Habol na yung gusto bumili. Sir Jun, pwede ka na po maglagay ng avatar aka profile pic sa account mo. Pwede ka na lang maglagay ng TEAM MANOLO pin. bakit ako wala pang pin ni manolo.. hehe..
yeah.. di ko pa pala kasi pinalitan.. haha.